Find Out Samsung Service Center In Various City of India and Also Get Information About Various Samsung Products Like Smartphone, Other Samsung Electronic product. 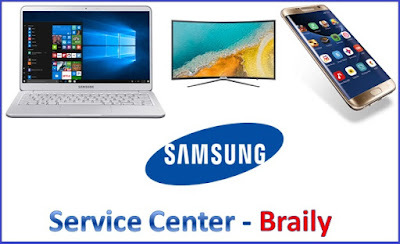 List of Authorized Samsung Service Center in Bareilly (Uttar Pardesh) - If you are a Samsung Customer and You Want to Know Samsung Service Center in Your City or Near by You , So you are on Right Place Because Here You Can Get Complete Information about Samsung Service Center . Find out Samsung Mobile Service Center in Bareilly With Complete Address , Email & Contact Number - Samsung is a South Korean multinational conglomerate headquartered in Samsung Town, Seoul. Samsung Have More Than 3000 Service Center in All over India in All Most Every City and Town City . Name of Service Center : Customer Care Services. Smart Phone ,Tablet ,Accessories ,Feature Phone ,Galaxy Camera ,Wireless Charger Stand. Name of Service Center : Sri Radhey Enterprises. Address :148,Civil Lines,Behind Axis Bank, Circuit House Chouraha, 243001. Smart Phone ,Tablet ,Accessories ,Feature Phone ,Galaxy Camera ,Wireless Charger Stand , DVD , Refrigerator ,Washing Machine ,Air Conditioner ,Cooking ,PC ,monitor Camera. Contact No. : +919761452843 . Not Living In Bareilly ? Don’t Worry! We Got You Covered, Find All Samsung Service Center Uttar Pardesh. Click Here. If The Information about "Samsung Service Center In Bareilly" was useful for You , So Please Give Your feedback by Comment.